Following are few common myths and facts related to testing. We encourage to those who work or enjoy testing to write us down any comments or different myths that are usually heard on every day work. Myth: Anyone can do manual testing. Fact: Testing requires many skill sets. Myth: Testing ensures 100% defect free product. Fact: Testing attempts to find as many defects as possible. Identifying all possible defects is impossible. Fact: 100% test automation cannot be done. Manual Testing is also essential. Fact: Testing can be extremely challenging .Testing an application for possible use cases with minimum test cases requires high analytical skills. Myth: Automation Testing saves time, cost and manpower. Fact: Once recorded, it’s easier to run an automated test suite compared to testing which will require skilled labor, but that recorded takes analysis, time, maintenance and expertise. Myth: Testing can become repetitive and boring. Fact: On the contrary, the boring part of executing same test cases time and again, is heading an opportunity and creativeness that should be applied. The use of an automation software might be required according to product nature. 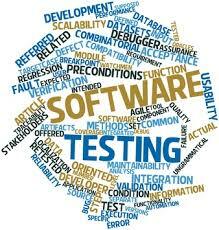 Testing is an activity where the tester needs to be very patient, creative & open minded.They need to think and act with an End User perspective.